Three North Wales Breweries did well at CAMRA’s Great British Beer Festival – Great Orme, Conwy and Purple Moose. I might feature them all as drink of the month but I’ll start with the mild category’s Gold Medallist – Great Orme’s Welsh Black. Great Orme is based in the lower Conwy Valley near Glan Conwy and started brewing in 2005. 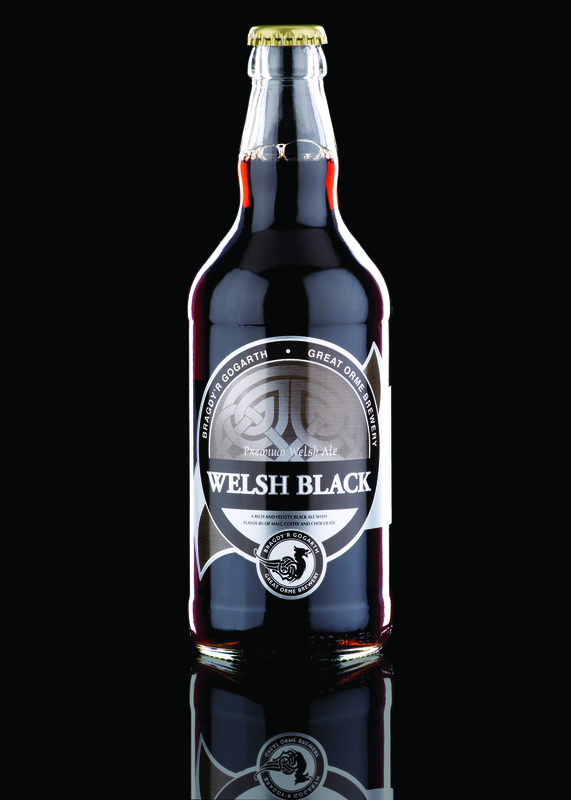 They make cask and bottled ales and their Welsh Black is available in both formats. The malts used are the key to this beer – pale ale, chocolate, black and crystal as well as torrified wheat. Some bittering hops are used but only to form a filter bed at the bottom of the copper and therefore won’t impart much bitterness. Interestingly no aroma hops are used so the flavours we will taste will all come from the malts. NOTE WEDNESDAY THIS TIME NOT THURSDAY. This entry was posted on 01/09/2013 at 20:08 and is filed under Beer, Drink of the month. You can follow any responses to this entry through the RSS 2.0 feed. You can leave a response, or trackback from your own site.